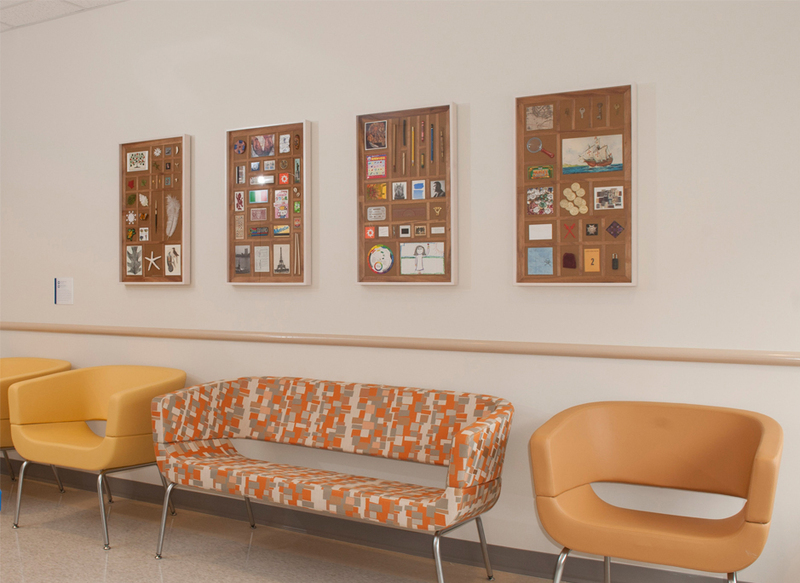 The third commission for Johns Hopkins Hospital’s Charlotte R. Bloomberg Children’s Center was inspired by Astrid Lindgren’s book Pippi Longstocking. The accompanying plaque reads: “I am a Thing-Finder,” Pippi said, and with that sentence, I was transported back to my grandparents’ home, which I never tried exploring in search of finiding “cool” things. 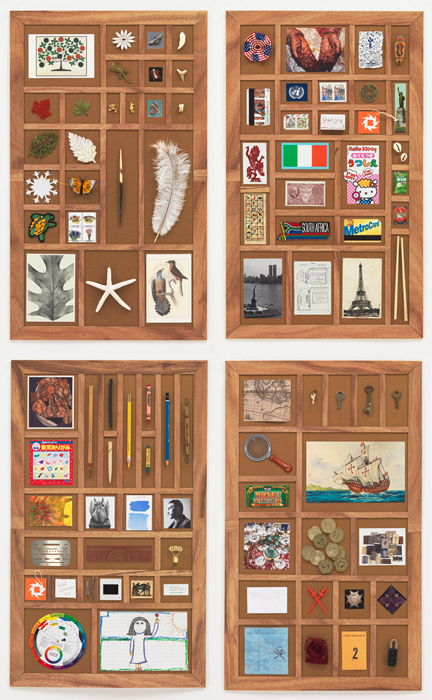 With this series, I wanted to inspire viewers to look closely, discover each collage’s theme, and remeber their own thing-finding days.